As all you parents know, Santa always takes time out of his busy schedule before Christmas to visit Ireland. 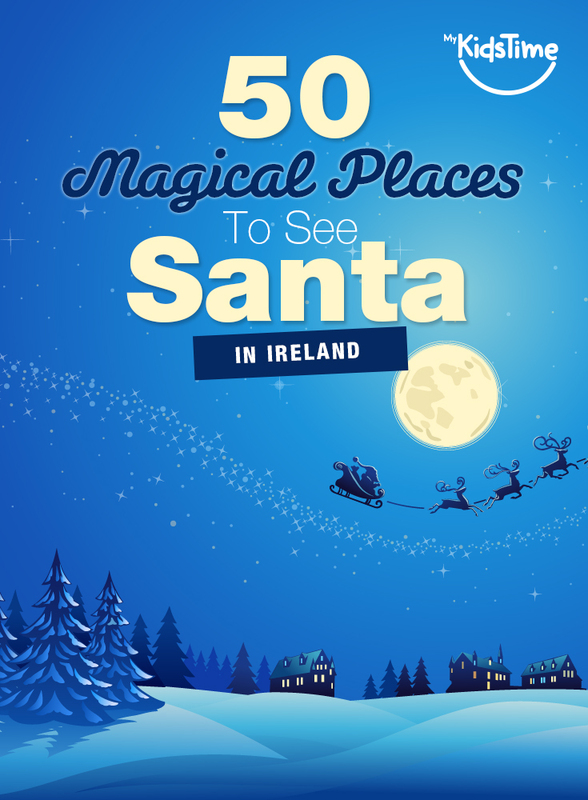 From Santa Grottoes, to farm, caves and Santa trains, here are 50 Magical Places to Visit Santa in Ireland grouped by county for easy navigation. But get your skates on as places book up fast! Ho, Ho, Ho! Tickets cost €10 per child & €5 per adult and can be booked online in advance for the Ilac Centre, and for The Kilnamanagh Centre, to ensure you get your preferred time and date. Each ticket includes meeting and interacting with Elves and Santa, travelling through 5 fun filled festive rooms, and a beautiful gift to treasure. Book your visit to the Santa Experience today. Also on December 3rd from 3pm to 6pm there is a special Quiet Santa Evening for children with sensory and special needs. 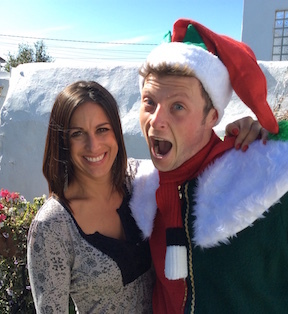 Have you ever wondered what it takes to become one of Santa’s trusty elves? 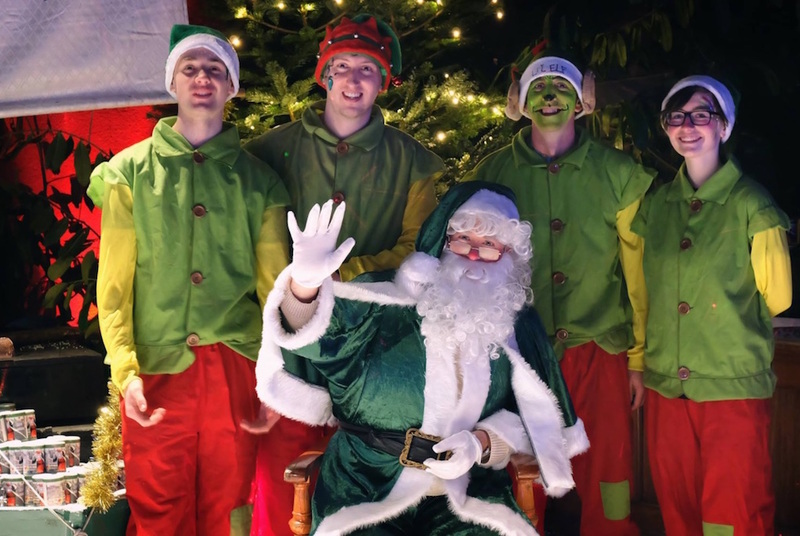 This year, why not find out at The Elves in Training Santa Experience at Croke Park from November 24th? The Elves in Training Academy runs from November 24th to December 23rd 2018. Pre Booking Essential as places fill up fast! Each child will get to take part in Elf Training with Santa and his helpers in the specially designed elf camp at the GAA HQ. Each ‘elf’ will become a member of the North Pole Football, Hurling & Camogie Club, managed by Santa! Each member of his elite Elf Squad will get to visit the mesmerising snow tunnel, the North Pole team changing rooms. While you’re there make sure you listen for banter in the shower room to see who’s made it to the naughty or nice list! You might also need to hold your nose as you leave the dressing room, as the trainee Elves’ don’t usually listen to Mrs Claus when she tells them to pick up their dirty gear! You will then get complimentary admission to the GAA Museum, where you can discover two floors of interactive exhibits. Marvel at the original Sam Maguire and Liam MacCarthy cups and test your hurling and football skills in the museum’s Interactive Games Zone! 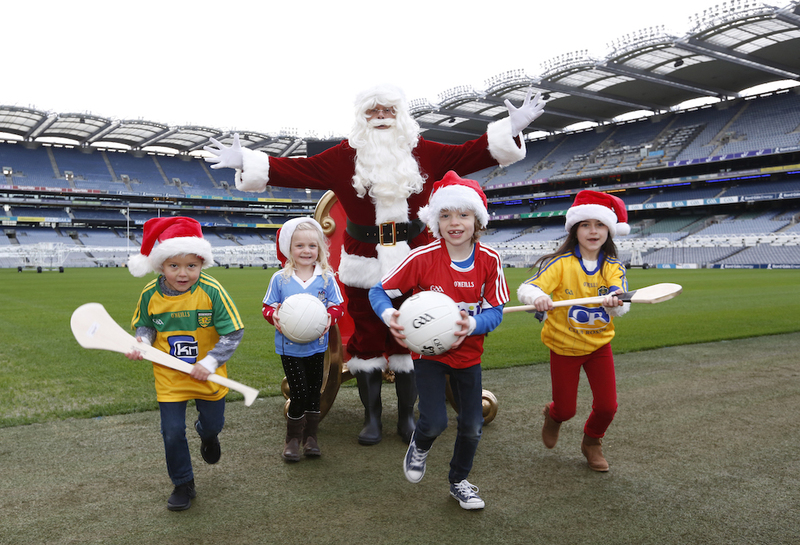 Book your all new Elves in Training Santa Experience at Croke Park today. Find out if you have been naughty or nice on a storytelling adventure through good deeds and bad on Ireland’s only custom built Christmas bus, suitable for all ages. See if you can persuade our elves that your name should be on Santa’s good list this year! IT’S BEGINNING TO LOOK A LOT LIKE CHRISTMAS… BUT WAIT… The letters are missing and Santa is sick, you have to save Christmas for jolly old St. Nick! Join the two elves on this puzzling adventure to save the Magic of Christmas. Help them to solve the clues, find the letters and prove you believe in all the good that Christmas can bring. But be wary! Some that seem nice might actually be naughty! If Santa is saved and Christmas Magic restored, there’s a spot on the good list for everyone on board! Christmas Bus Tours run from Sunday December 3rd to Monday December 24th. Book online for one of the daily tours at 1pm, 2pm, 3pm, 4pm, 6pm. SOLD OUT! Santa will be in his grotto at Dublin Zoo on various dates during November & December from November 24th 2018 to December 23rd. Santa will be at Stephens Green Shopping Centre again this year and promises to be an extra special experience. 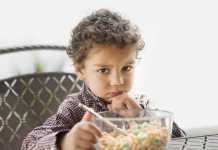 Children can also take part in seasonal activities before getting a special gift to take home. Enter Santa’s enchanted forest at Luggwoods, Saggart and be transported on the Luggwoods Express, a tractor drawn carriage, through the mystical forest to the Big Red Farmyard Barn for your visit with Santa. There will be characters to meet, games and activities to enjoy for a memorable family santa experience. Open from November 30th to December 23rd 2018. Are you looking for a traditional family Christmas with fun for all ages? Then come along to Airfield Estate, Dublin’s only 38 acre working farm this yuletide season for a magical Christmas Experience like no other. The perfect Santa experience for those with a passion for steam trains, Steam Train Ireland offer Santa Special train journeys on dates from December 1st to 22nd 2018 from Dublin to Maynooth, see details below and Belfast to Whitehead. The Railway Preservation of Ireland operate Santa Train rides from Connolly Station in Dublin to Maynooth return on December 1st, 2nd, 8th, 9th, 15th & 16th. Tickets go on sale on October 14th at 12pm and sell out very quickly. Tickets are €16 per child (12mths to 15 years), which includes a personal passport and a present from Santa. There will be plenty of fun for families to enjoy a day out at Powerscourt Estate, Wicklow this November & December 2018. Santa & Mrs Claus will be at Avoca to see all the boys and girls from November 17th to December 23rd 2018. Are you ready for a magical train journey in the foothills of the Wicklow mountains? Then book your train ticket for Santa’s Journey at Roundwood. Co.Wicklow. As Christmas approaches, Santa, with the help of his industrious elves has created a magical journey in the foothills of the Wicklow mountains. This enchanted train journey sets off from Gingerbread Junction and arrives in Northpole Station where families will enjoy and an audience with Mrs. Claus in her winter cabin. Families will then continue the journey to a special mini show with Santa’s funniest elves in his winter workshop followed by an individual meeting with Santa Claus himself. All children will receive a complimentary gift from Santa Claus (provided they are on the nice list) and professional photography and festive treats will be available for purchase at this magical Christmas experience. 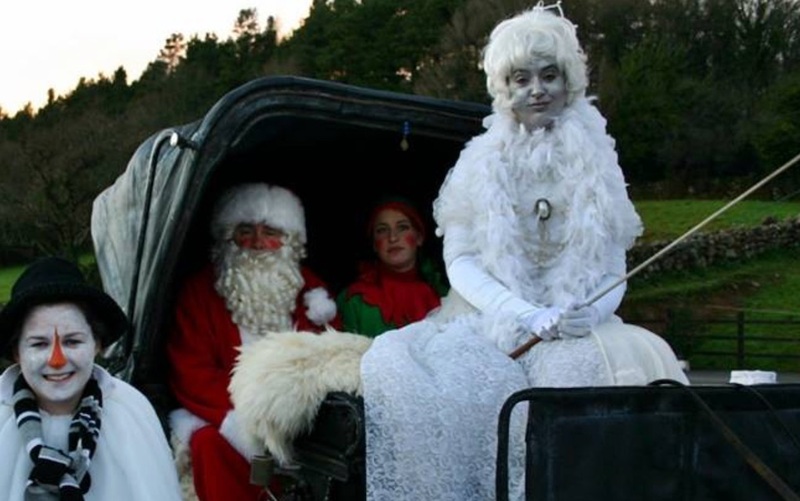 Santa’s Journey kicks off on Saturday the 24th of November and runs every weekend until Christmas in the beautiful grounds of Djouce Golf Club, Roundwood, Co Wicklow. Limited spaces available on each journey! Pre Booking Essential and places fill up fast. Book now to avoid disappointment and see where the journey will bring you! 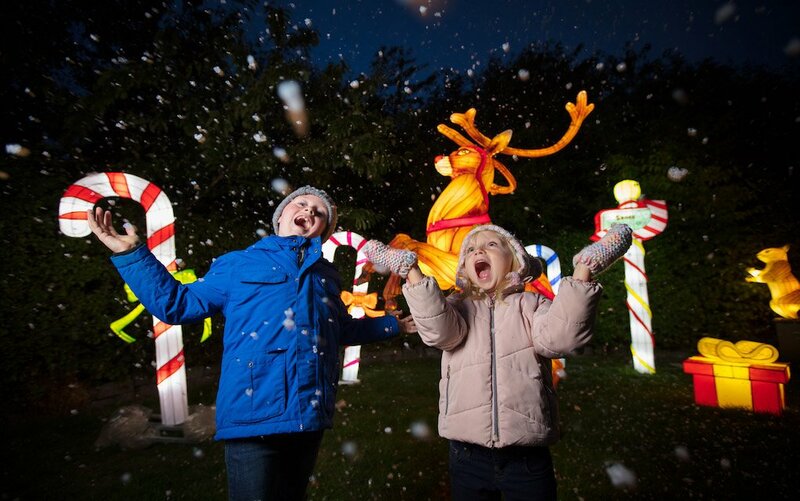 Join us on Christmas Island at Hidden Valley Holiday Park for festive fun and an unforgettable and unique Christmas experience! After a sell out 2017 experience, Santa and his merry band of elves are looking forward to returning to Galway and meeting all the wonderful boy and girls at Elf Town. This year’s Christmas experience returns even BIGGER and BETTER with lots of new characters to guide you on your way as well as new and exciting additions to bring smiles to all faces. From the moment you enter Elf Town, families will feel as if they have landed in the North Pole and children will get a real winter wonderland experience. Meet Elfie Mc Skrinchy and help him find his Christmas spirit! Elf Town opens on Saturday the 24th of November 2018 and every Fri/Sat/Sun until the 23rd of December 2018, including the full week prior to Christmas. 2017 was a sell out and there are limited spaces available on each experience. Bookings open on August 8th and Pre Booking is essential. Check out the website to get your preferred date and time, plus Facebook for updates and news. We look forward to welcoming you at this unique family Christmas experience. Be sure to book your tickets early to avoid disappointment. Tickets go on sale from AUGUST 8TH. The Christmas Festival takes place at Slieve Aughty in Galway on Saturdays and Sundays from December 1st to 23rd 2018. Santa will be there and is looking forward to seeing all the boys and girls this year. Half hour group time slots can be booked and Santa will see each child to tell them a story, receive their letters, and present them with a gift. Along with your visit to see Santa, you will have 2 hours to enjoy the other activities at The Christmas Festival where you can pet Santa’s ‘pony’ reindeer and have a ride on one of them. Pet the other farm animals and see if you can spot the fairy folk in the Enchanted Forest! There will be crafts to make, face painting to enjoy and you may even see the Wise Old Owl. Finish up your visit with delicious organic food and drinks at The Three Tower Organic Kitchen. 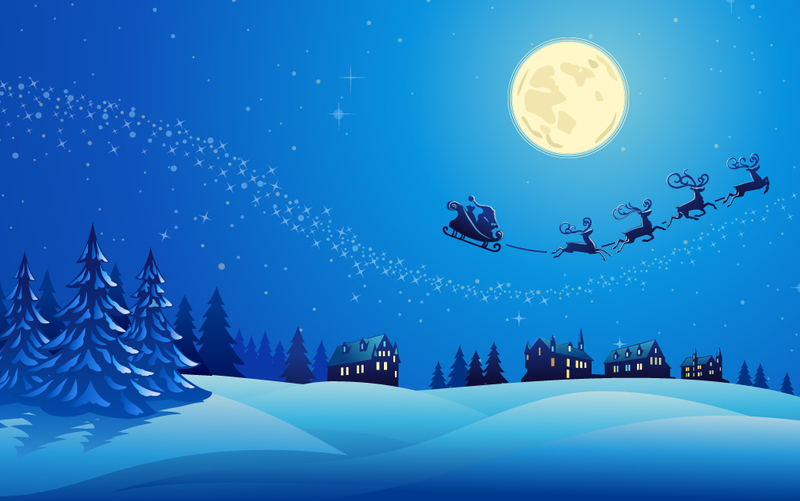 Book your Slieve Aughty Santa Visit today to ensure you get the time and date you want. Experience the magic of Christmas in the award winning Athenry Heritage Centre with fun filled activities for all boys and girls this December 2018! Loughwell Farm Park on dates in December 2018. The Galway Continental Christmas Market from November 16th to December 22nd 2018. Green Santa will arrive at Belvedere House on Saturday 8th December 2018 at 10.45 and will and proceed to his magical grotto, along with his elves, where he will meet children from 11am. He will be there every weekend up to and including Sunday, December 23rd 2018. Come and enjoy the magic of Christmas at Birr Castle Gardens and Science Centre this December 2018. 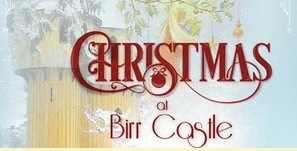 You will be greeted and entertained by the Castle elves, before taking a trip to the enchanting Birr Castle. There you will meet Mrs Claus in the library sitting beside an enormous roaring fire reading magical festive stories. Your visit continues to the elegant dining room with its giant Christmas tree where you will meet the man himself… Santa Claus! Tickets are priced at €18 per child and €8 per adult, pre-booking is essential. Celebrating the 10th Anniversary of Santa’s Magical Trail in 2018 so Santa has invited his special guest and pal Willy Wonka along this year! 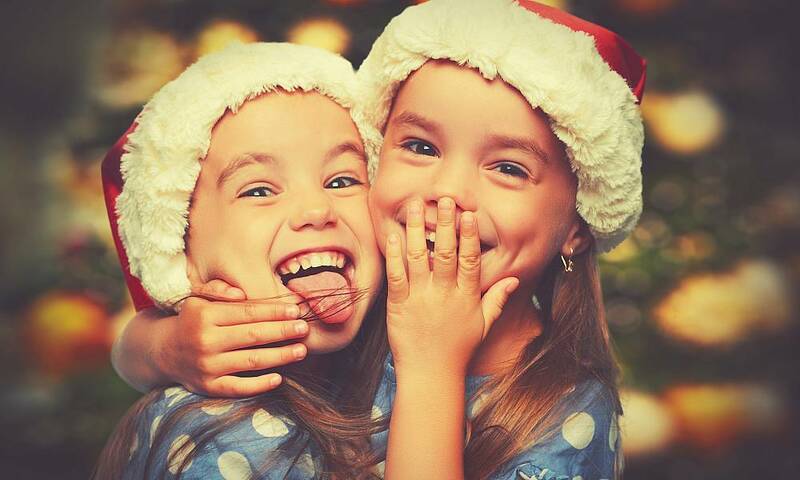 Join Santa’s elves on a wonderful journey through Santa’s Magical Trail – a fun filled and action-packed experience for children young and old held at the Clanard Court Hotel, Kildare! 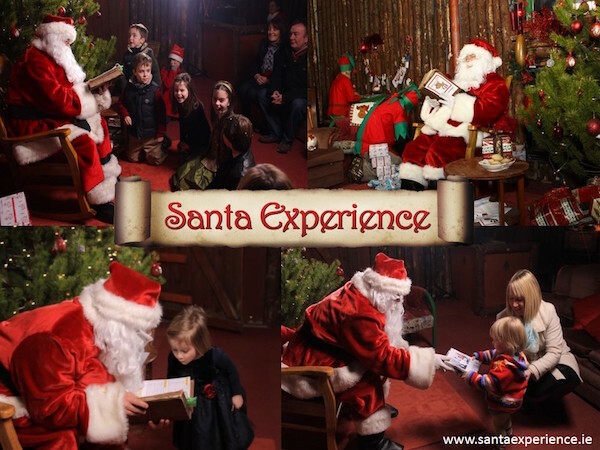 Now in its 10th YEAR the award-winning, leading Kildare Santa experience (TripAdvisor Travellers’ Choice Award for Families) … is for anyone who really loves all things Santa and believe in lots of FUN, MAGIC and SMILES along the way!!! To date Santa’s Magical Trail has raised €95,000 for children’s charities and local community projects. 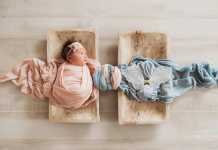 The main charity for 2018 is the Jack & Jill Children’s Foundation. Why not make a night of it too with our extremely popular Magical Sleep Over option? 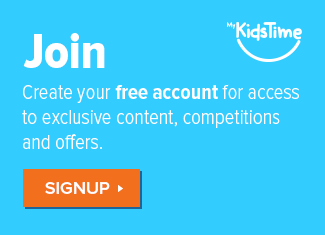 Guaranteed to make you the best Mum & Dad ever! You can book selected weekends from 1st December to 22nd December 2018. Booking is now open for a truly authentic, family Christmas experience, that’s local and great value. The Castlecomer Discovery Park in Kilkenny is definitely one for the ‘nice’ list this year. It is a treat for the entire family, and the ultimate way to kick start Christmas. Castlecomer Christmas Experience is bound to bring out the kid in everyone. With a jam packed afternoon immersed with magic and festive cheer, and a woodland that’s totally transformed into a Christmas Village, it offers much more than a visit to Santa Claus, and is guaranteed to make memories that last a lifetime. First stop is the excitement of a magical, rambling train ride through the winter wonderland on board The Santa Express! The entire family will be mesmerised before reaching Santa’s Village! A stop to meet Santa’s Elves is a must, who are busy preparing themselves for the most magical time of year in their arts and crafts igloo. Soak up the festive feels in the enchanted Elf Village with workshops and a woodland play zone whilst parents and grandparents can sit back under the woodland canopy and enjoy complimentary refreshments or mulled wine before continuing to meet the man himself, Santa Claus. 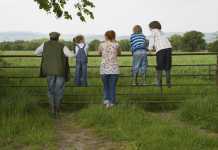 In Kildare a magical experience for both young and old is guaranteed at Lullymore Heritage & Discovery Park. Lullymore is transformed into a Winter Wonderland of family fun with lots of special guests! Your visit will also include a trip to see the live crib. Opens December 1st and Santa returns to the North Pole on December 23rd 2018. Santas House Express is on at Palmerstown House Estate, Johnstown. Hop aboard the Santa Express on dates from November 24th to December 23rd 2018. This year there will be a family fun fair to enjoy along with meeting Santa, Mrs Claus, the elves and Archie! 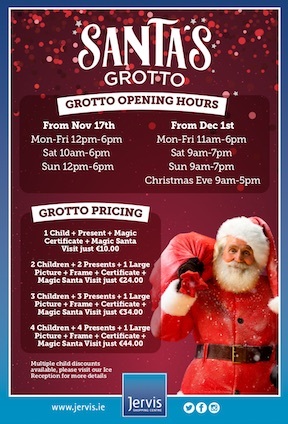 Santa will be in his grotto at weekends at Jumpin’ Jacks Play Factory in Tullamore on December 9th & 10th, 16th & 17th. The ticket price includes a 90 minute play, along with a visit to Santa and a gift. In Mayo, Westport House’s Winter Wonderland is a magical family experience brimming with Christmas cheer that will leave the kids starry-eyed and the whole family believing in fairy-tales! Open from November 24th to December 23rd 2018 each family will get a 2 hour guided experience. 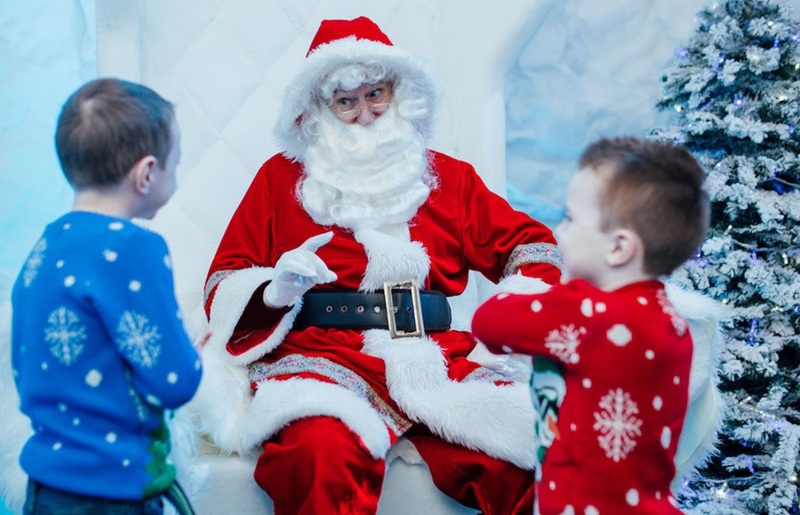 Kids will adore a special visit to Santa in his grotto, story-time by the fireside with Mrs Claus, sing-a-longs with the Elves and festive face-painting to really get them in the Christmas spirit. Visit the elves hard at work in their Workshop where kids can make their own yuletide log and decorate their own Ginger Bread Man, and stop by the Christmas Wish Tree for the real spirit of Christmas. And on December 6th 2018 Westport House have a Sensory Santa Experience from 3pm to 8pm, where the lights and music will be toned down and families with children who have sensory disorders, autism or other special needs can enjoy a relaxed, magical experience. You can re-live the magic of a traditional Christmas at Tullyboy Farm, from December 2nd 2018. Visit the old time kitchen and stir the Christmas pudding and make a wish before you visit Santa. Santa goes underground this Christmas at Arigna Mining Experience in Roscommon. He arrives on December 8th and will be there on selected dates up to December 22nd. Visitors can also enjoy entertainment from Fred the Party Professor, Joe Daly Magician and Custard Pie Puppet Show depending on the dates they visit! Santa arrives at Quayside Shopping Centre on November 23rd 2018, at 6pm. He will be receiving visitors every Friday, Saturday & Sunday up to December 23rd. Oakfield Park in Raphoe, Co Donegal invite you to board the Santa Express at the station and have an enchanting train ride through the woodlands to meet Santa and his helpers! He will be in residence from December 1st to 23rd 2018. Tickets cost €10 per child & €5 per adult and can be booked online in advance to ensure you get your preferred time and date. Each ticket includes meeting and interacting with Elves and Santa, travelling through 5 fun filled festive rooms, and a beautiful gift to treasure. A royal welcome awaits you in King Johns Castle ‘Magical Christmas’ in the heart of Limerick city. Go on a magical journey with the elves into the Artic Winter Tunnel and arrive in the winter wonderland full of exciting festive things to do and see and exciting characters to meet!. Next enter the Winter Palace where you will meet Mrs Claus and Madame Bernie and her puppets and have a visit with Santa. Afterwards take the 12 days of Christmas trail and follow clues around the palace to discover new and exciting places. See the animals in the stable and venture into the Sleeping Hollow to meet the Snow Princess and her intriuging kingdom. 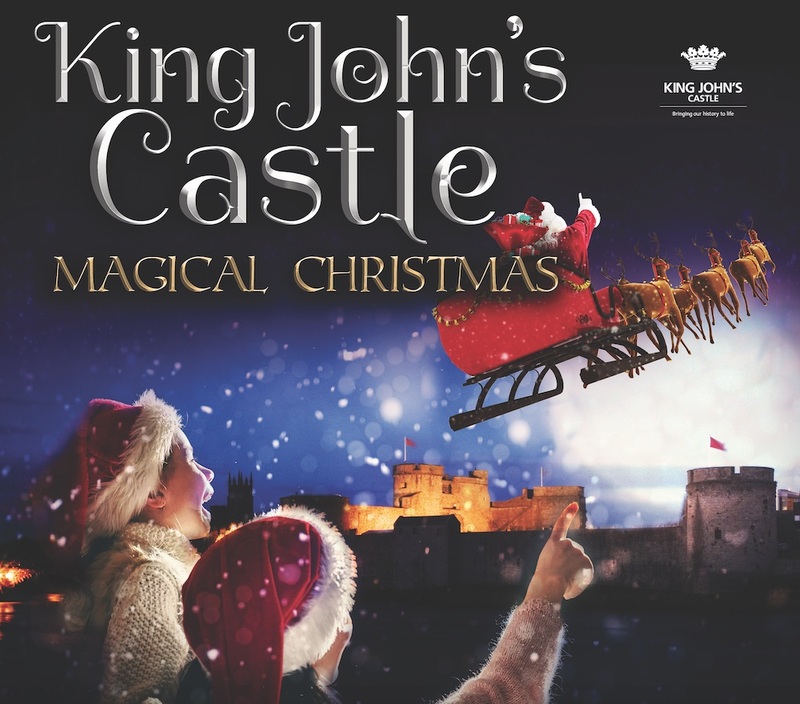 This magical Christmas experience at King Johns Castle is open on December 1st, 2nd, 15th, 16th, 20th, 21st, 22nd and 23rd from 10am to 7pm. Santa will be at Stonehall Visitor Farm and Wildlife Park in Kilcornan this December 2018 on dates from December 1st to 21st. You will arrive at Stonehall to an array of magical lights and adults will get mulled wine, tea or coffee along with a mince pie. The children can play in the play area while you wait to see Santa in his Groto. Afterwards visit the stables and meet Rudolph! Experience an unrivalled winter wonderland with a magical, festive atmosphere, and give the children an experience they’ll remember, at Bunratty Castle Folk Park from November 25th to December 23rd 2018. 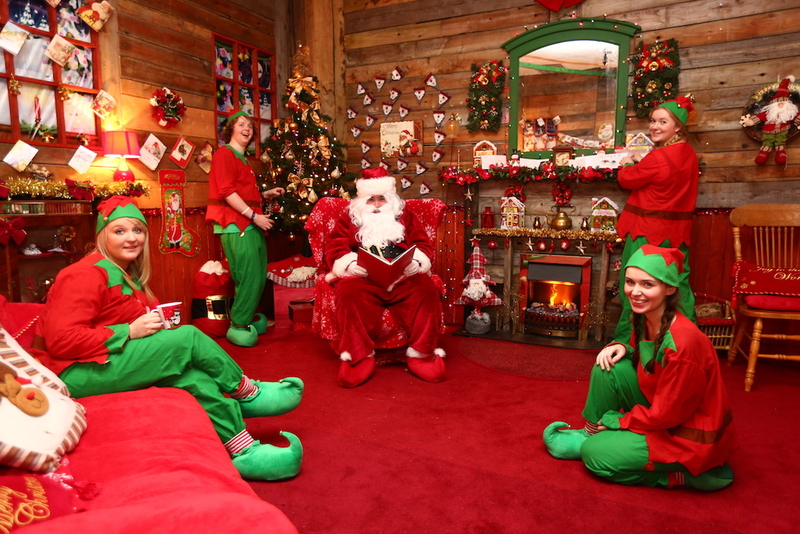 Come with all the family to visit Santa Claus & his Elves in his Grotto. Call in to see Mrs. Claus in her kitchen as she prepares for Santa’s trip – making sure his clothes are ironed and he has plenty of food for his journey. Skate at the new ice rink. The village street is decked with holly, and festooned with fairy lights, and the village Christmas tree is adorned for the occasion. Meet and chat with all the Christmas Characters who will be wandering the village street, you might even bump into Scrooge and mind he doesn’t spoil the Christmas cheer! Enjoy the Santa Express train ride, carousels, puppet shows and so much more! Christmas themed shops selling Christmas fare will ensure you can get in a bit of last minute shopping. Limited spaces still available so book now to ensure you get the date you want or call + 353 (0)61 360788 for more information. In Kerry, Santa’s Winter Wonderland runs from December 1st to 23rd 2018. Kids will see Santa’s Bedroom, the Elves Bedrooms, Snow Scenes, Polar Bears, meet Mrs Claus and have a go on an Animated moving ride before heading to Santa’s Grotto to meet the big man himself. One and a half hours play at Crazy Cave included. Visit Santa in his workshop at Ailwee Cave on dates from November 24th to December 22nd 2018. On December 21st, there will be a special Sensory Day in Santa’s Workshop for children with autism and other sensory challenges on December 6th. Take to the skies with Santa this Christmas at Atlantic Air Adventures, Shannon. Meet Captain Santa Claus on the flight deck of his BAe146 before taking a simulator flight challenge on weekends in December 2018. Call to book your flight. Embark on an enchanted journey to see Santa this Christmas at the Magical Woodland Christmas Experience at Castlecomer Discover Park. Open from November 24th 2018 to December 23rd 2018, book early to avoid disappointment. Journey to the North Pole aboard the Santa Express on a magical train ride through a forest winter wonderland of twinkling lights. A stop to meet Santa’s elves in their arts & crafts igloo in the Elf Village is a must. You will see how busy they are preparing for Christmas and while the little ones enjoy woodland play and workshops, you can relax with complimentary mulled wine before continuing your journey to meet the man himself, Santa. 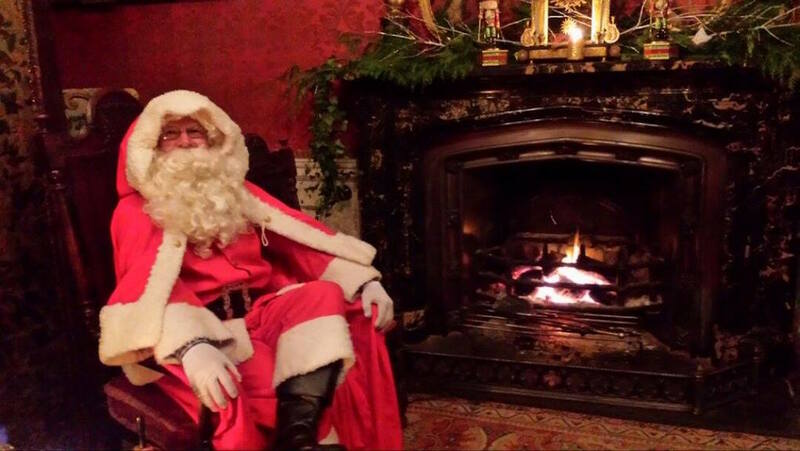 You are guaranteed an afternoon of magic and festive cheer, no matter what age you are when you book a visit to Santa at Castlecomer Discovery Park. Experience the magic of Christmas with Nore Valley Park at their bespoke venue within the McDonagh Junction Shopping Centre in Kilkenny. The Christmas Experience runs on weekends between December 1st and 23rd 2018 and must be booked in advance. Mischievous elves will welcome you and help the children write and post their letters to Santa. Next Mrs Claus invites all the family to make and decorate Christmas cookies in her festive kitchen. 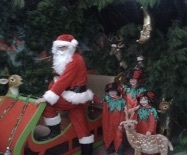 Santa will be waiting to see you in his grotto where you can take photos and receive a special gift. Afterwards visit Santa’s deer in the stables and enjoy the nativity display with live animals to meet and pet. Afterwards enjoy a complimentary tea or coffee in one of the attractive cafés in the centre. It really is an experience to remember. Create your very own Christmas treats at an Elf Chocolate Workshop at The Chocolate Garden of Ireland in Tallow, Co Carlow. Workshops run on various dates from November 17th to December 23rd 2018. 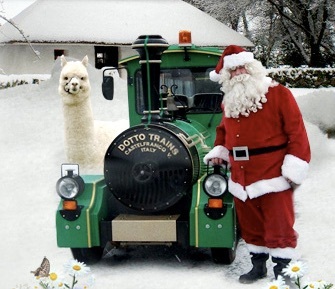 Santa’s Train Adventure is back at Rathwood, Co Carlow from November 17th to December 24th 2018. But be quick as seats aboard this great train are filling fast. Visit Santa and his elves workshop at Rancho Reilly’s Magical Christmas Experience on December 14th, 15th & 16th, 21st, 22nd & 23rd 2018. The annual Christmas Fair at Delta Sensory Gardens from December 7th 2018 and you can visit Santa and his Elves at the Christmas Wonderland. Christmas at Huntington Castle is on weekends from December 1st 2018. Visitors can send a “Letter to Santa” and visit the amazing old wold Italian vintage crib. 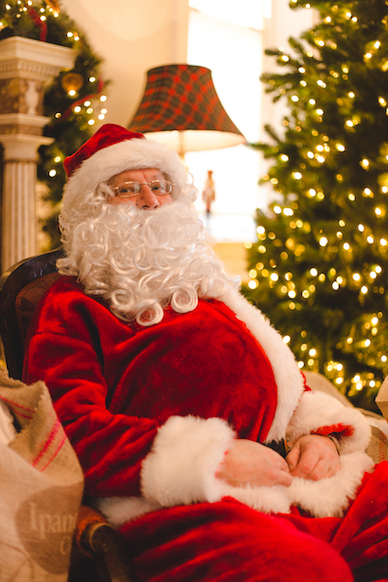 ‘The Magic of Santa’ at Fota House runs Friday 7th December from 5pm to 8.00pm, Saturday 8th and Sunday 9th from 12.00pm to 8.00pm; Friday 14th December from 5pm to 8.00pm, Saturday 15th and Sunday 16th from 12.00pm to 8.00pm. 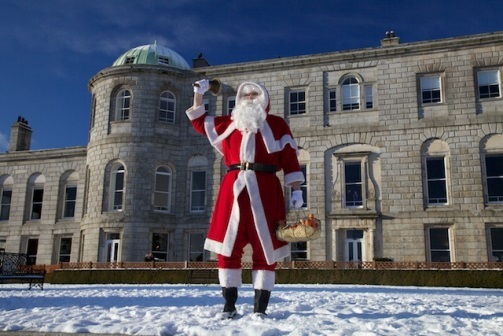 Step back in time and experience a magical guided tour through Fota House this Christmas with your family. 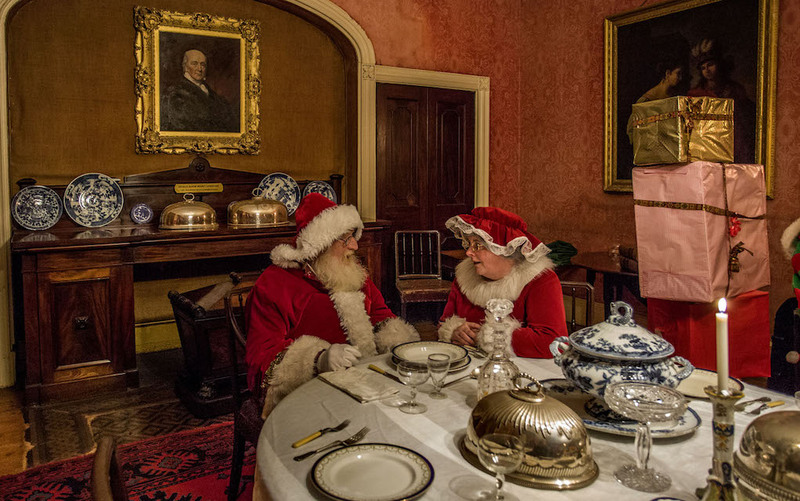 Meet Mrs Claus in her Victorian Kitchen, where you will begin your journey to Clara, the Toymaker and the Mischievous Mouse King. Can you help release the Toy Prince from under the Mouse King’s spell and return him to his beloved friend Clara? There will be Christmas Crafts to enjoy too, along with festive treats and a craft stand in the Long Gallery where you can pick up unique gifts. Take a magical journey back to a time where Christmas was about creating magical memories together, at the Cork North Pole Outpost Experience taking place in Cobh on dates from November 26th to December 23rd 2018. Enjoy a magical visit through Santa’s Village at Leahy’s Open Farm from December 1st to 23rd 2018. Journey through the mystical forest where you will find Mrs Claus baking cookies and scones in her little cottage. From there you will step into a magical land of fairies and elves, and of course then meet Santa himself. Full steam ahead for those hopping on board the North Pole Express at Christmas Wonderland at The Farm, Grenagh, where the Christmas elves and fairies have made a magical wonderland for Santa’s arrival. In Cavan, visit Santa’s Magical Wonderland at the Teachers Centre, Main Street on dates from November 26th to 23rd 2018. Cost €10 per child, including gift and Mums and Dads are free. In Meath, have a Causey Christmas Experience at Causey Farm from November 25th to December 23rd 2018 when the farm comes alive with the magic of Christmas. Slide into Santa’s Toy Workshop and make your way through the Elf door to his Grotto where you will receive a gift from the man himself. Visit Santa at Tayto Park on dates from December 1st to 23rd 2018. Santa will be waiting to see all the boys and girls in his magical grotto, where you can tell him how good you have been and what you really want for Christmas. Afterwards you can enjoy Christmas arts & crafts, storytelling and a trip to the 5D Cinema along with unlimited rides. In Co. Monaghan, visit Santa’s Lodge at Nuremore Hotel and Country Club for a lovely Christmas experience. Santa will be there on weekends from December 1st to 23rd 2018. There are so many places to catch the big man in red this December! Here are just some of the many!! Take a journey on the Winterland Express through the enchanted forest and into the Winterland Castle to meet Santa on dates from November 24th to December 23rd at W5 Belfast in his icy Christmas Cavern where every child will receive a special gift. Santa and his Elves will arrive at The Argory, Dungannon on December 8th and will be there until December 16th 2018. Each child will be issued a magical passport to visit Santa in his magical kingdom. Santa’s Polar Express will be at the Slieve Donard Resort, Co Down from December 14th to 21st 2018. Meet Santa in Derry at The Jungle’s Christmas Wonderland on dates from December 2nd to 23rd 2018. Visit Santa in his grotto at Belfast Zoo this December 2018.